Cyril is from Virginia Beach, VA. During his first year at the University of Virginia, Cyril recognized that he was a sinner who was rebelling against a God who has a glorious design for his life. Cyril recognized his desperate need and gave his life to Jesus Christ, experiencing the life transforming grace of God. Soon afterwards, he sensed an inward call to ministry and immediately pursued the training necessary to sharpen his ministerial gifting. After being licensed to preach in Mt. Gilead Missionary Baptist Church by Rev. 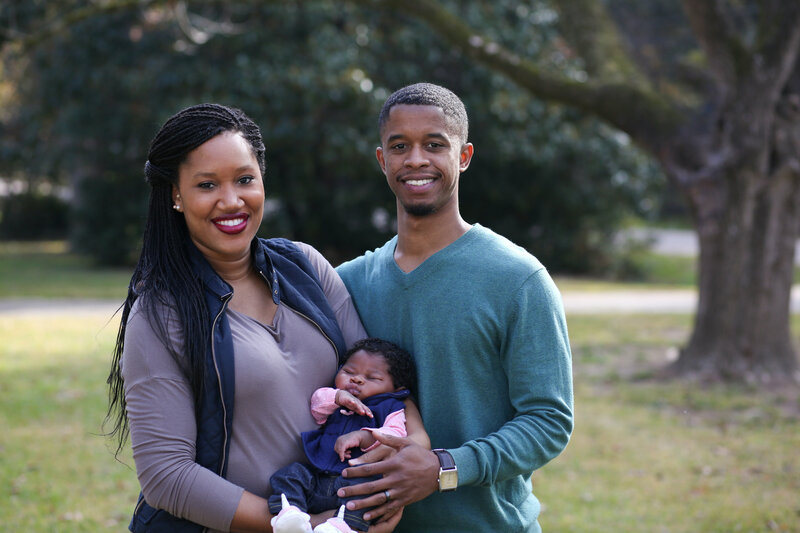 Dr. Shelton Murphy, becoming a church planting resident at Portico Church, and graduating from UVA with a Bachelor of Arts in Religious Studies, Cyril began his formal training, pursuing a Master of Divinity at Reformed Theological Seminary in Jackson. He became an intern under Rev. Elbert McGowan for two years, and has since been serving RUF at JSU as the campus minister. Cyril and his wife, Jenell, are excited about seeing God restore students' lives to Himself for their joy and His glory, on the campus of JSU. When Cyril is not at work in ministry, you can find him hanging out and caking with Jenell, laughing way too hard with friends and family, and vibing out to good music!